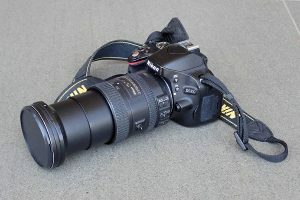 Once you get into bird photography, one of the first things you will need is a good bird guidebook, if you haven’t one already. 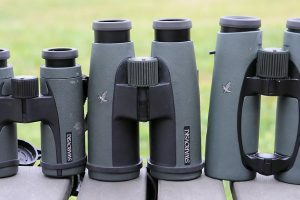 Folks new to birdwatching and photography are generally amazed at how many different species there are, and how many look very much alike. A comprehensive bird identification guidebook will lead you through that challenge. And, it is just not guidebooks. There are a growing number of phone apps that provide excellent bird ID information. This includes the calls of the birds themselves which can be extremely useful in identifying particular birds (remember your birding ethics and use recorded calls with care and discretion). 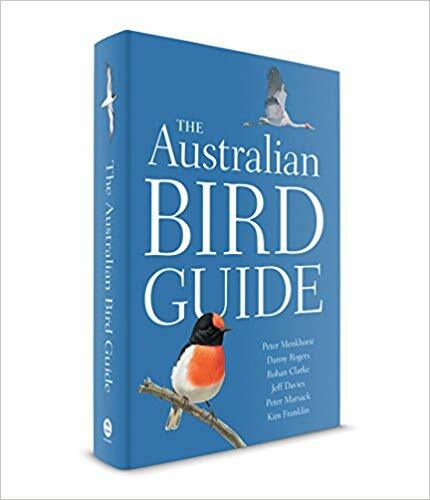 The result of unprecedented collaboration and nearly a decade in gestation, the ABG is the most comprehensive guide and resource to Australia’s birds. The authors are Danny Rogers, Peter Menkhorst and Rohan Clarke. In excess of 4,700 individually commissioned paintings by Kim Franklin, Jeff Davies and Peter Marsack grace this book. Using a wealth of generously provided photographic images from across the birding community, the artists have been able to present their subjects in vibrant, real-life poses, rather than the stiff and unconvincing poses approximated from skins and stuffed specimens. The illustrations provide an excellent range of juvenile and other variations often overlooked in earlier guides. Another great innovation that breaks the tradition of earlier guides, is presenting the species in groups based on their habitats. The birds within these habitat groupings are then listed in taxonomic order. The book’s coverage of species is 927, with a sensible rationalisation that now excludes extinct species and rare vagrant sightings prior to 1940. On the flip side, the various species found off-shore on Australia’s territories are well covered. It is said that a smartphone app is being considered as well. 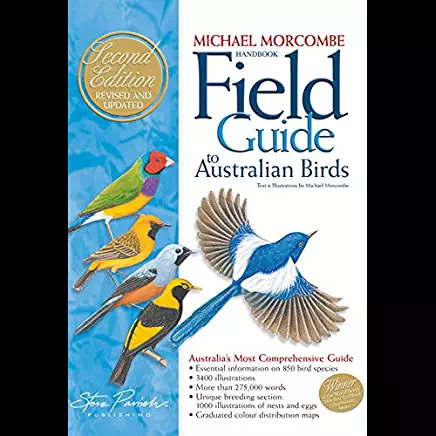 This guidebook by Michael Morcombe is another of the most popular, and comprehensive, guides to Australian birdlife. Distribution maps for each bird reflect current knowledge and sightings and are a much better way of presenting such information. A particularly useful feature, at the rear of the book, is detailed information on nests and eggs. Morcombe has both written and illustrated the guidebook. The illustrations have defining features nicely pointed out, including in-flight particulars. The offshore territories and islands are covered as well. There is a smartphone app which is regularly updated. It contains a wealth of recorded bird calls which is a great aid in identifying our more elusive and unobtrusive species. First published in 1984 and now in its 8th edition to reflect the many taxonomic changes of recent years. Some of the illustrations have been updated as well, to highlight important diagnostic differences from similar species. The illustrations are well organised and laid out. The maps too are well presented, especially in regard to differentiating the ranges of various subspecies from each other. At the rear of the book, there is good coverage of vagrant species, including islands and territories. 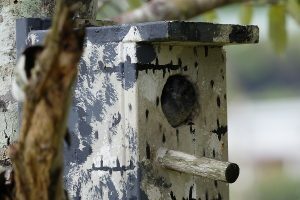 There is also some useful coverage of nesting behaviour. In order to come in as lightweight field guide, there has been some sacrifice of detailed information. 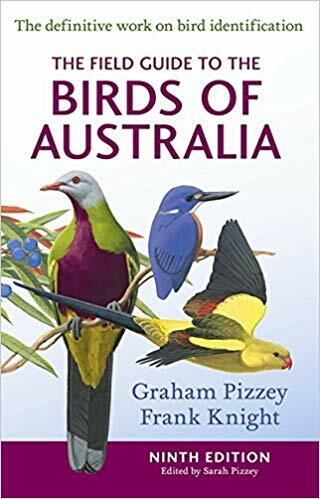 Authored by Graham Pizzey and Frank Knight and first published in 1980, this is an enduring and very popular field guide for Australian birders. 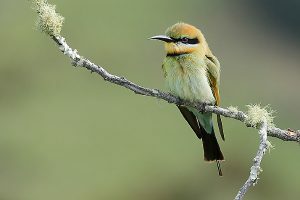 Frank Knight’s evocative colour images really do capture the essence of our birds and assist greatly in identification. There are some additional, new paintings reflecting improved knowledge of our birds. The book has been considerably re-ordered to line up with the latest information on taxonomy. The guidebook also has a useful Quick Reference Guide. A separate smartphone edition is also available. 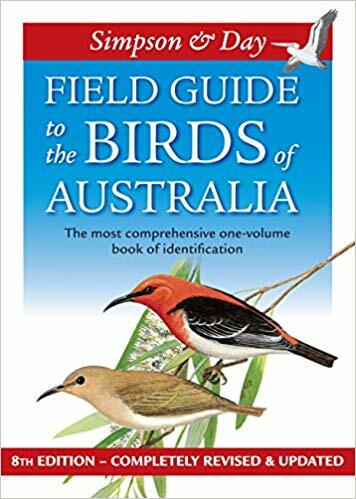 Slater’s guidebook is another of the mainstay guides for Australian birds. It is compact and the lightest of the guidebooks, better suited to field carry. That comes at the expense of leaving out some of the detailed information found in the other guides. 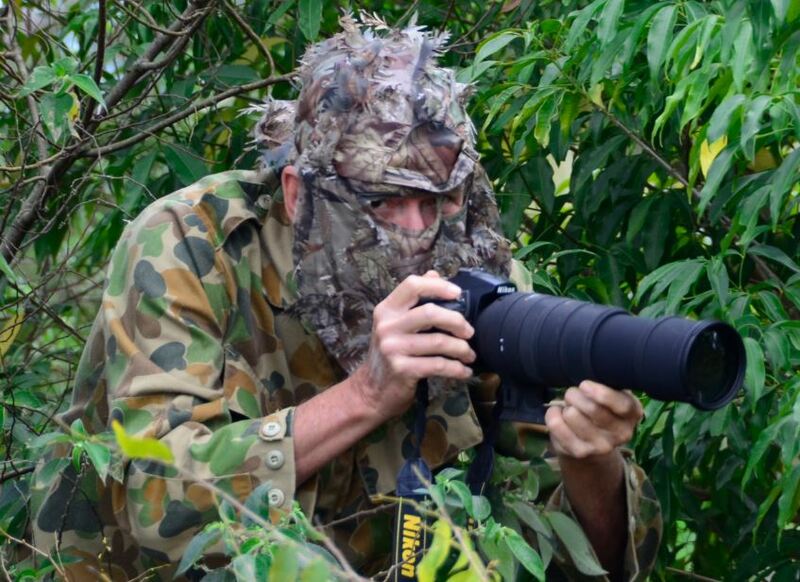 That will not unduly concern experienced birders and is more of an issue with newcomers to birding. Some critics have raised concerns with the quality of the maps and general layout. While there is a basis for that, it may be a bit over-stated, and Slater’s book remains a popular and much-carried field guide. 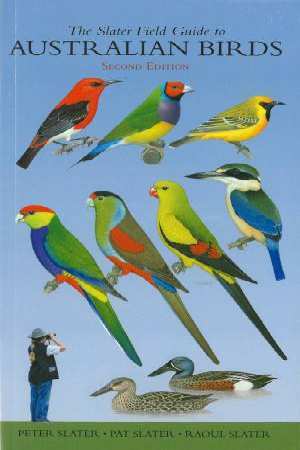 These bird guidebooks are very well laid-out with multiple colour images of the variations to be seen for each bird, behavioural notes, typical size and location maps. The resources and reference material for bird identification are now truly wonderful. I still have my old Cayleys, that I bought back in the 1960s, but these days it is just a fond keepsake. 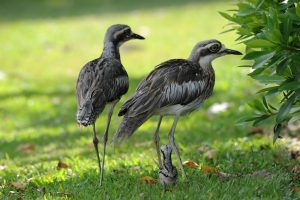 In recent years, with the advantage of genetic profiling and dedicated research, there have been changes to the recognised species and their relationships. That will continue for some time, something to be aware of if you want to stay up to date with the latest taxonomy. The bird guidebooks listed here are all excellent and a choice of any one over the other boils to down to subjective personal preference. I own all of the guidebooks mentioned here. My most used field guide these days is Morcombe. I also take my battered early edition of Pizzey out occasionally as well. 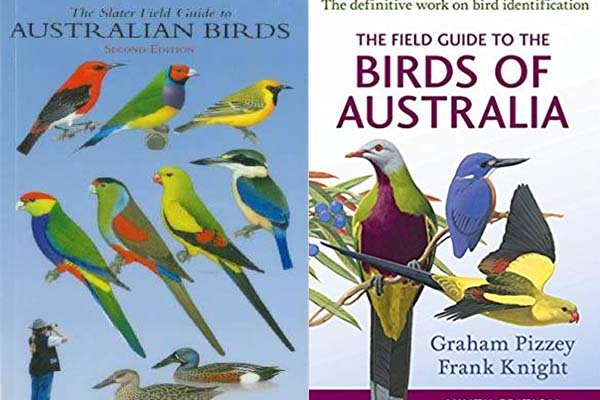 The other bird guidebooks I tend to regularly browse through over a coffee at home.